Paul will be working closely with the Business Manager and Imer DeLeon, Facilities Manager, to keep our buildings and offices running smoothly throughout the Parish. Paul has a great deal of varied experience in the building trades. 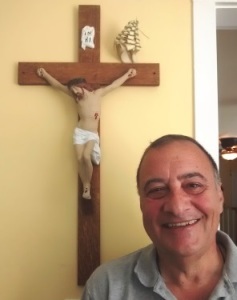 Paul was employed at St. Michael the Archangel Parish, Georgetown, Delaware, in May, 2017, as PT Facilities Manager where he serves at the present time.